On the Design tab, open the Themes gallery. The Themes drop-down list opens. 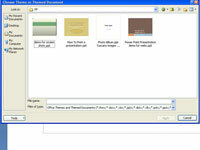 Choose Theme or Themed Document dialog box. 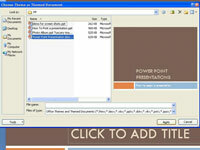 Locate and select a PowerPoint presentation with a theme you can appropriate for your presentation. 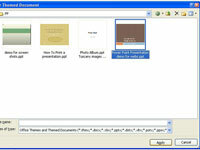 You may have to browse to find the presentation you want to use. 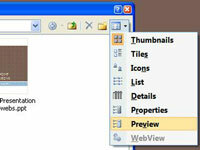 Click the Views button in the upper-right corner of the dialog box and choose Preview. 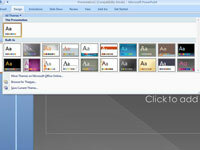 The theme used in the presentation you selected now inhabits your presentation.